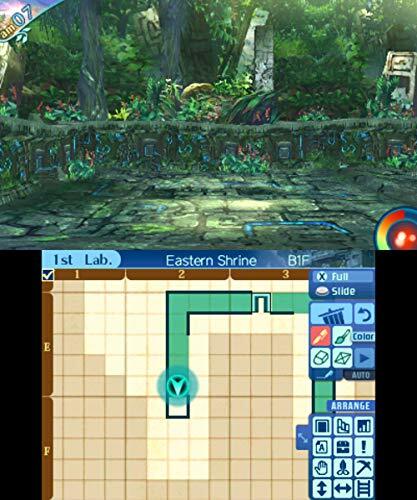 For over ten years now, Etrian Odyssey has been giving players a new take on the first-person dungeon crawling scenario. While most have typically been set in dungeons or caves, Etrian Odyssey offers many ruins all near a large tree full of life and color waiting to be explored. Although monsters still lie in wait, it changed the setting by adding unique classes to help challenge them and truly difficult tasks to overcome along the way. 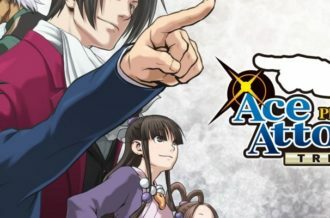 With Nexus being the last in the series planned to be released on 3DS, how well does it represent how far the series has come through its life on Nintendo’s handheld systems? Much like previous entries, the story of Nexus revolves around the great Yggdrasil tree. Aboard a flying ship, a fresh guild meets a woman by the name of Persephone who welcomes them to Maginia as they break through the clouds to witness it alongside the giant tree. The guild she has met with go on to recruit members to make up their team and begin investigating town. After meeting with some townsfolk, they learn of troubles happening nearby that they decide to assist with. At first the missions are simple, but then they come to meet a young woman who is lost in a ruin looking for her friend. They decide to aid her and on their walk through discover all manner of monsters and mysteries in the ruins, and after a successful rescue they report back to a worried Persephone who decides to aid the guild as they assist the town in exploring and further investigating the ruins that have been uncovered alongside the climb of Yggdrasil. Before heading out into the ruins, the first thing a guild must do is gather its hunting members. 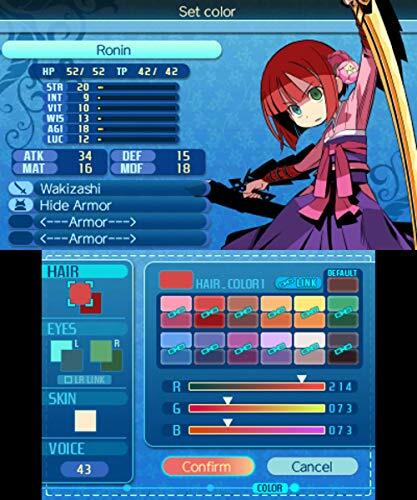 Etrian Odyssey offers a large selection of characters to choose from, all of who can be fully customized from voice to hair color and each with their own abilities and strategies in battle. This is something that’s of key importance, as even the simplest of enemies are nothing to scoff at. Choosing a team that works well means not just going in with heavy hitters, but a good variety that work well together in order to survive. The ruins are deadly at every turn, so doing some trial and error testing to see what works best is a good way to approach combat. Once a team of five has been selected, they receive their starting skill points to choose which abilities will be usable. There are a handful of different types of abilities which includes healing, damaging, ailment causing and even field skills. Each level up rewards another skill point and fortunately every skill is visible right at the beginning so each character’s strategy can be determined fairly early on. The meat of gameplay is of course in monster battles. There are two rows of characters in a fight being front and back. Those in the front row can hit monsters in either the back or front, while those in the back can only hit in the front unless they are a ranged class or have an appropriate skill that hits back rows. 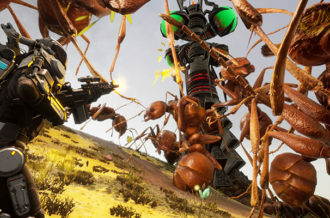 Characters can be moved during battle in order to change where they can attack or move positions in order to be more defensive. Each character also has a special ability known as Force Boost and Force Break. Boost can be activated when their Force has reached 100% and offers useful effects in battle. If the boost isn’t enough, once per battle the Force Break can be activated which offers a huge help in tough situations. Wild encounters themselves are handled in a great way while exploring the ruins. In the bottom corner of the screen, a small circle slowly fills up with color as the guild moves. Once completely filled, a monster encounter is imminent. Rather than being entirely random counters this makes it strategic to plan where to be when an encounter occurs. It also makes them possible to plan and avoid, as moving to new levels in the ruin resets them to the start. Outside of straight fights, there is of course exploring the ruins. This is one of the key points of Etrian Odyssey as it will never just hand out a map that needs to be explored. These ruins are new, often unexplored, so it’s up to the guilds to draw these maps up themselves. On the button screen of the 3DS, the character icon will be displayed at all times leaving a blue trail every step they make. Using the stylus, or a finger, lets players easily draw the walls of the ruin and make it easier to tell where everything is. Aside from just drawing walls, a good variety of icons are given in order to make notes of where things are or point out a place of interest. Tiles on the ground can also be colored alternatively to make note of potential traps or problems. Occasionally the group will run into large monsters, which are indicated on the map as purple when within sight. They will turn red if they become aggressive, but will normally just follow in a set walking pattern that can be monitored in order to avoid or face them. One of the other easy ways to gain experience and get stronger is through side quests, mini events and of course upgrading armor or weapons. Side quests are taken at the local bar and usually require the guild to do a minor task in order to help a local patron. 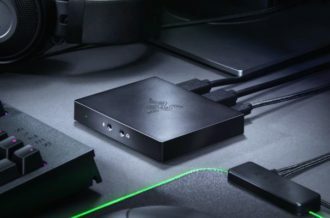 This can be anything from finding an item or fighting a monster in the way. The ruins themselves also have mini events that will occasionally occur in certain areas while exploring. These can be good, such as healing the team for eating a fruit, or potentially dangerous. 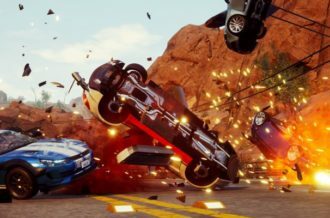 The guild is given a choice on how to approach these scenarios, and depending on how well they handle it, they will be given experience for trying their best. Finally armor and weapons can be both bought from the local store. The merchant there will also purchase items taken from defeated monsters, which can then be turned around and used to enhance certain armors and weapons to make them stronger. While it might occasionally lead to grinding some monsters, it’s well worth keeping on top of these upgrades as enemies will never hold their punches. The visuals for Nexus are incredibly well done for 3DS. The terrain and ruins look amazing, and the still 2D art for characters meshes well and helps push the story without slowing down for long animated cutscenes. The music is perfectly placed, making things immediately tense and terrifying at the drop of a hat but still allowing for a moment’s rest when just stood still in the ruins. The character audio for Etrian Odyssey Nexus is exclusively in Japanese, and while there are a few times where snippets of passing dialogue aren’t directly translated, everything important is expressed in English. This title also has full 3D functionality support on the 3DS, giving the ruins feel that extra feeling of depth while exploring. 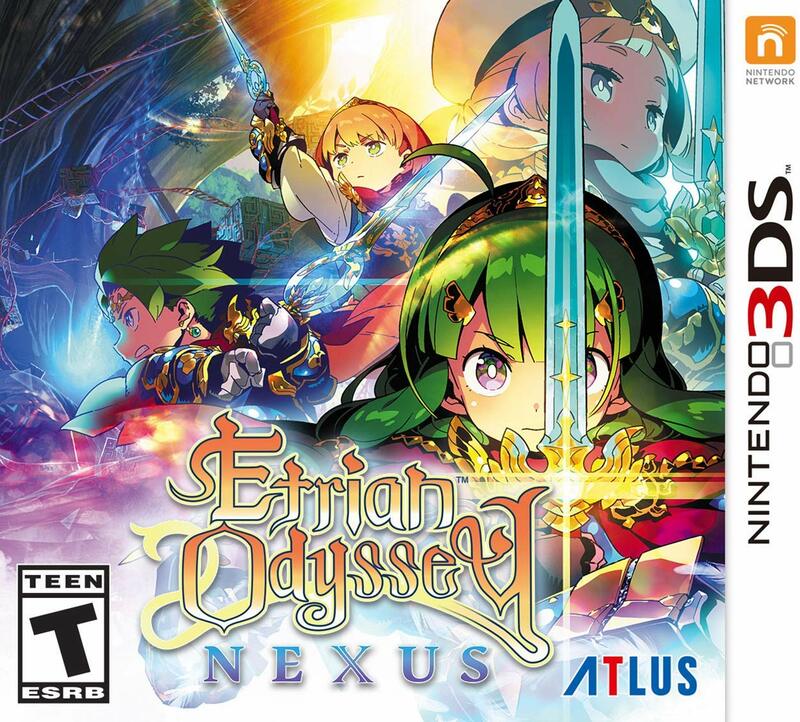 It’s easy to look at Etrian Odyssey Nexus and say that there hasn’t been a lot of mechanical changes when compared to previous entries, but there really isn’t much that needs to be changed to make it a wonderfully enjoyable time. 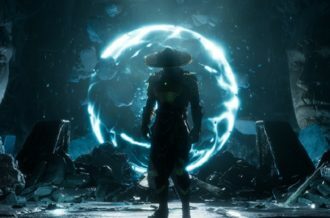 There are great difficulty options for those who wish to challenge or ease themselves into the series, new playable classes make for unique scenarios and new ways to approach combat while the ruins and enemies are still just as enjoyable as ever before. There’s something incredibly satisfying about creating a map and feeling as though the exploration is just as important as the combat when every little thing matters. It’s often difficult to overcome some of the monsters in the ruins, but it’s all a matter of trial and error to see what works best and how to conquer each challenge as it comes. 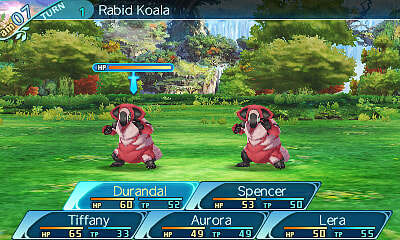 Etrian Odyssey Nexus is a great time for those who want a long journey that will always keep them on their toes.